By God, it’s a mountain bike! On Sunday night Ryan and I were eating a yummy roast dinner in celebration of Fathers Day and reflecting on how much we have to be grateful for and how rich we are. Of course we have an incredible marriage, an adorable baby boy in perfect hearth, and amazing families. We have good friends, a challenging and fulfilling work environment, and churches who love us and support us and pray for us and our ministry. And we also have a house full of “stuff”. For most people, if they were to hear our income, they would think we live in poverty. No joke. Our annual support is less than either Ryan or I could make within a couple of months if we were working “normal” jobs. Honestly, we live way above our means. And yet we don’t live on the credit card either. By God’s grace. By God’s provision. By God’s abundance. By God’s people. The simple answer is BY GOD. There’s no other explanation! One of the ways God’s provided to us is through a community network called Freecycle. (Of course it helps that I have lighting fast responses by email to good postings.) 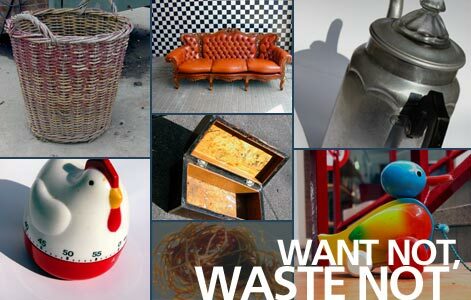 Freecycle is a community-based network that you’ll find all over the world where people can pass on their unwanted items. It keeps things out of the landfill, it builds community, and it helps those in need. Since being married we have received all sorts of things from Freecyclers: a vacuum, a wardrobe, cabinets, a waffle maker, a kayak (Ryan got that one for his birthday! ), dressers, and SO much more. We’ve also received a ton of baby things for Levi: a baby jogger, a porta-cot, a bumbo seat, a sling, a jonny jumper, and a rocking chair to name a few. Of course some of these things need some TLC upon receipt, but usually with a little cleaning and a tiny bit of tweaking, Ryan and I can be pretty creative and resourceful. Back to Fathers Day dinner. Ryan and I sat there recounting so many of the blessings that we’ve been given to fill our home since being married—through wedding gifts, Freecycle, hand-me-downs, or other forms of support—and we felt rich in deed. And guess what? The next day (yesterday) I was on Freecycle and noticed a post for a mountain bike. Thinking it would be great for Ryan to have a bike to ride to work since he usually leaves the car for Levi and I and he walks or skates to the base, I responded. After picking up the bike, Ryan came home last night beaming. It’s a beautiful mountain bike, barely ever ridden, and definitely worth a few hundred bucks! It was covered in dust from being neglected in the garage, but all it needs is a good clean and some air in the tires. So there you go. We have a new bike! It was from a kind person on Freecycle, by God, and with an email from a quick and resourceful wife. A great trio of teamwork. Isn’t it good the ways God provides? I hope you’re encouraged in your own circumstances by this story… Just because we’re missionaries doesn’t make us “special”. God wants to be generous with all of us. Are you looking for it? All you need is open eyes, ears, and hearts.